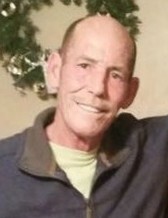 Mr. Phillip “Phil” Gregory White, 62, of Thomasville, NC, succumbed to cancer surrounded by his loving family on Friday, November 2, 2018. Phil was born on May 14, 1956 to the late Oliver White, Jr. and Hazel White. In addition to his parents, Phil was preceded in death by three brothers, Donald White, Oliver White, and Michael White; and one sister, Joan Page. Phil is survived by his wife of 27 years, Christel White; two sons, Gregory White (Samantha) and Nicholas White; daughters, Sarah Knoll (Jeffrey) and Abigail White; two loving grandchildren, Norah and Nolan; two brothers, Larry White and Pete White; three sisters, Sandy Ballew, Becky Crotts, and Chris White; and numerous nieces, nephews and extended family members. Phil loved sports, especially golf and football, where his favorite team was the Carolina Panthers. He owned a foam and fabricating company in Montgomery County before moving onto a career in the food and beverage industry that span 18 years until his health forced him to give up the career he loved. He spent his free time with his loving family, playing with his grandchildren and watching various sports games, both in person and on tv. Phil also enjoyed playing golf when he was able. He was always there to help relatives and friends with questions, car troubles, household projects, or anything else that was asked of him. Phil was a loving husband, father, grandfather, and friend to everyone. He was known as “Dr. Phil” to his work family, daddy to his children, and Papi to his grandchildren. He will be deeply missed by all who knew and loved him. Phil will be laid to rest at 2:00 pm on Thursday, November 8, 2018, at White Crest Baptist Church Cemetery, 1051 River Rd., Mt. Gilead, NC 27306 with Rev. Edward S. Lecates officiating the graveside services. The family will receive friends from 10:30 am until 11:30 am on Thursday, November 8, 2018, at Hayworth-Miller Silas Creek Chapel. The family would like to say thank you to Dr. Meryl J. Snow and the staff at Davidson Medical Ministries in Lexington, NC, the staff of Hinkle Hospice House and Hospice of Davidson County for the loving care provided and support provided to both Phil and his family during his final days. Also, the family would like to extend their sincerest gratitude to the staff of Hayworth-Miller Silas Creek Chapel for the support and guidance they have provided during this difficult time. In lieu of flowers, memorial contributions may be made to Greg White in c/o funeral expenses for Phil. Greg may be reached by phone at either (336) 862-6505 or (336) 708-5309.